In the last six years I got very very interested in being around people in different forms of affliction… I use the term affliction in the sense of genuinely broken people who may not make it back. I like to be around people who are struggling with addiction and struggling with mental illness. I volunteered for a number of years in a place called the Center for Grieving Children… I’m happy among them, I like being around people who are struggling with crushing, difficult things. I’m much happier, it makes me feel more normal. That’s much more interesting, really, than writing. Franz Wright’s poems read like one man’s chronicle of spirit — as told by the spirit more than the man. He has said they they often seem nearly to write themselves, in a sort of rapture. Both prayerful and witty, they tell stories of recovery to the point of something like ecstasy. 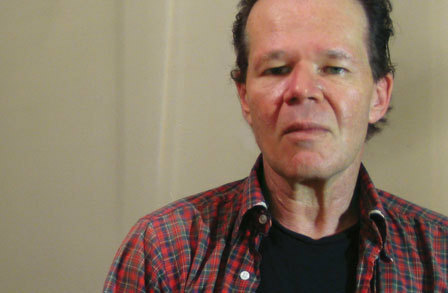 In fact Franz Wright’s sustained surge of poems in the last decade have mapped his own route out of hell — out of the severe depression and alcoholism that afflicted his father before him. Along the way he found his way into Catholicism, Alcoholics Anonymous and a sustaining marriage. His poems make many references to daily mass, and regular recovery meetings. Often he addresses God directly as: You. Joseph Torra, Fanny Howe, joeblog, March 21, 2006. Jonathan Mayhew, 2.27.2003, Bemsha Swing, February 27, 2003. Ericson, Drawings by Trees, Undesigner / Visioneer, June 4, 2006. Kelly LeVan, Thinking makes it so, lamonitor.com, July 19, 2006. Alice Quinn, In the Beforelife: Franz Wright, The New Yorker, July 9, 2001. Ilya Kaminsky, A Symposium on the Works of Franz Wright, Web Del Sol Review of Books. Justin Marks, In My Father’s House There Are Many Rooms, Web Del Sol Review of Books. Leonard Schwartz, Fanny Howe: Meditations on Word and Life, Jacket Magazine, May 2004. Fanny Howe, On the Ground, Graywolf Press, July 2004. Franz Wright, God’s Silence, Random House, March 2006.